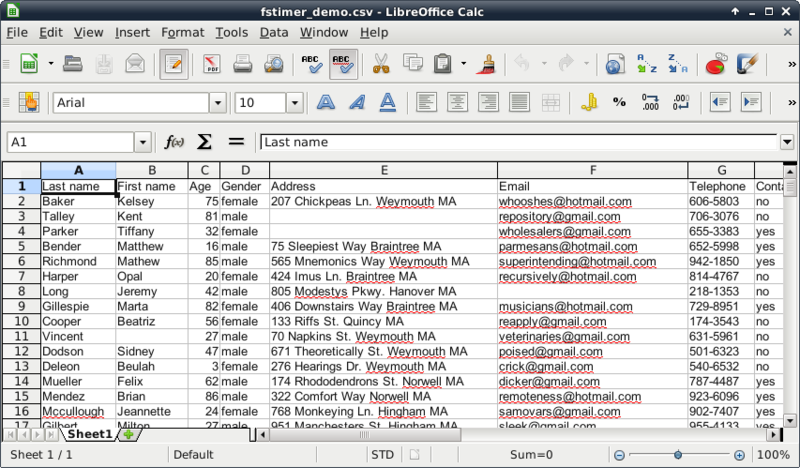 Basically there is a header row, and then a row for each registrant; the details of how to format the preregistration spreadsheet are in the detailed instructions in Section 4.2. 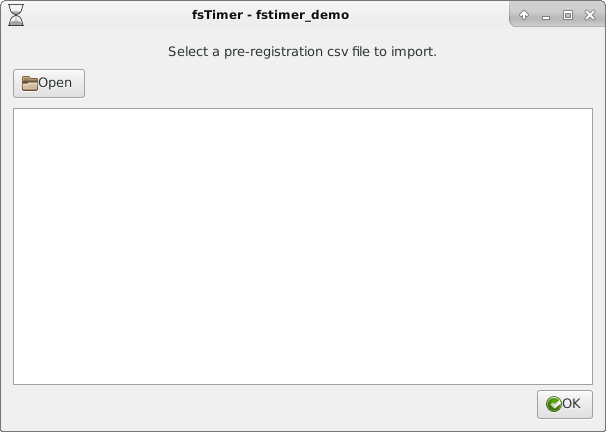 The fsTimer package that you downloaded comes with an example csv file "fstimer_demo_online_registration.csv", located in the "fstimer_demo" project subdirectory. 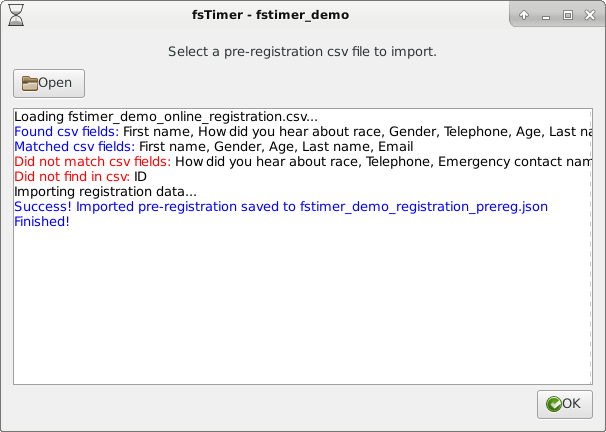 The text field in the preregister window shows that the preregistration csv was successfully imported and the imported registration file was saved as ``fstimer_demo_registration_prereg.json." 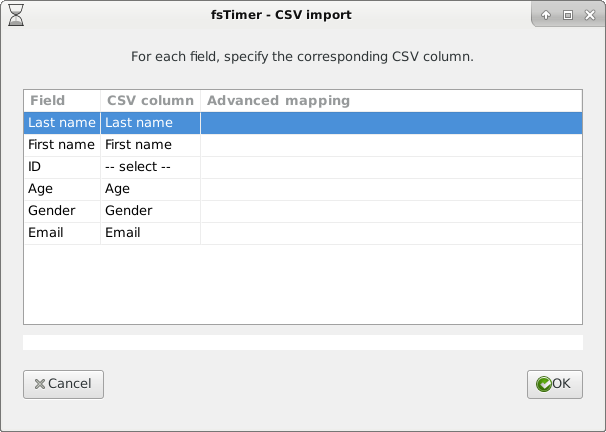 The other lines of text show which csv fields (that is, spreadsheet columns) were detected and some other details that are described in Section 4.2. Continue on to Section 2.3 Registration.